American scientists have for the first time unlocked the genetic code of an entire family, and made a startling discovery -- that parents pass on fewer mutations than previously thought. Scanning the genomes of the four member family enabled the research team to pinpoint the mutations that caused two rare diseases in the two children in the family. By comparing the DNA sequences of all four family members, the authors found that the parents gave 30 mutations each, for a total of 60, to their children. Previous studies had estimated that parents pass 75 gene mutations each to their children, with many of those changes not having any consequence. Understanding how parents pass mutations to their children may help narrow the search for genetic causes of diseases, said the research team at the Institute for Systems Biology in Seattle, Washington. The research team even managed to pinpoint with astonishing accuracy where parental chromosomes crossed with their children's to create a new genetic trait. The family whose genetic sequencing was unlocked was chosen because their children both suffer from an extremely rare combination of diseases. Although the parents have no genetic abnormalities, they each carry recessive genes that led to their son and daughter being born with both Miller syndrome and Primary Ciliary Dyskinesia (PCD). Only two families in the world have been diagnosed with Miller's syndrome, a disorder which leads to face and limb malformations. It is thought to occur in perhaps one in one million people. And PCD is a disease in which the tiny hair-like structures in the lungs that are supposed to move mucus out of airways fail to function. The chances of having PCD are estimated at one in 10,000. The odds of developing both PCD and Miller's syndrome are less than one in 10 billion. By comparing the genetic mutations in the two children with the Human Genome Project the researchers confirmed that four mutant genes are responsible for each illness. 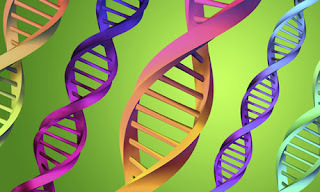 Human beings have about 22,000 genes containing the genetic blueprint for human life. This blueprint, called DNA, comprises more than three billion "base pairs" that determine genetic makeup. Scientists first sequenced the human genome in 2003.